Here is another addition of my Christmas cookie gift boxes I made! 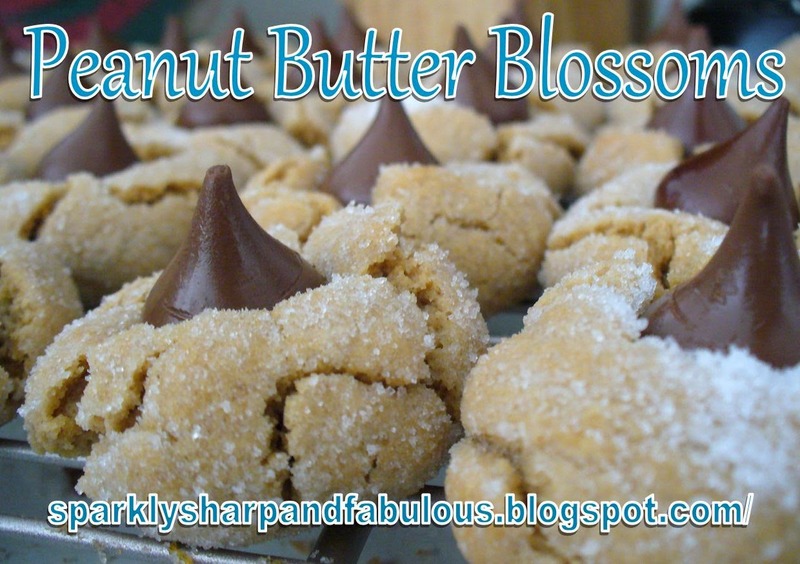 These are so awesome, and any chocolate and peanut butter fan in your life will love them! I promise! 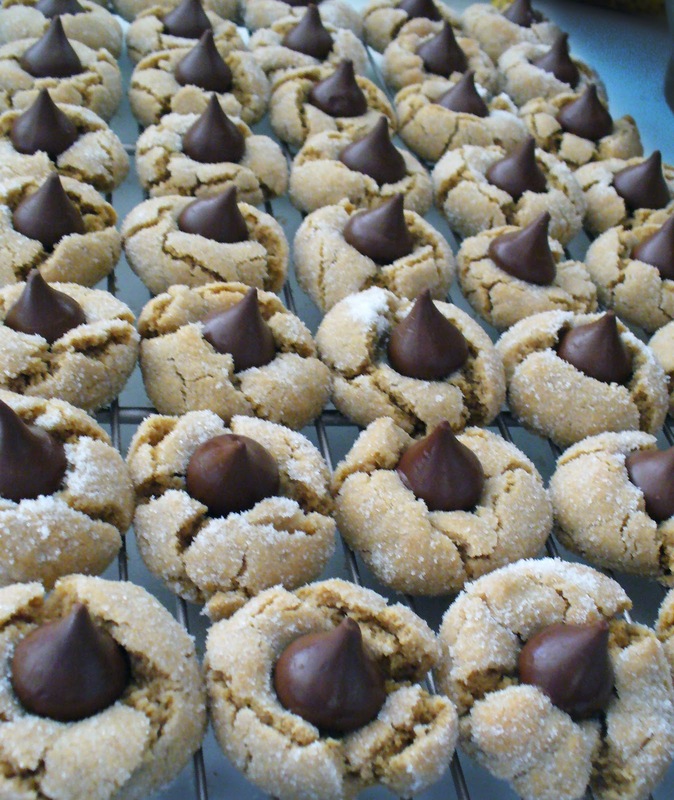 Makes about 4 dozen delicious cookies! **normally, I suggest getting the super natural, not really mixed Smucker’s organic, but in this instance I’d stick with one of the Jiffy Natural Peanut Butters (that you don’t have to stir) for better blending purposes. Preheat your oven to 375 degrees F. Prep cookie baking sheets. Greasing is not necessary for this recipe. Soften your peanut butter in the microwave. It should only take about 10 seconds at the most to get it nice and soft. Set aside. You do NOT want it to be super-hot! Mix BOTH sugars and shortening in a bowl. Add in egg, milk and vanilla. Mix in peanut butter. In another bowl, stir all of your dry ingredients together. This would be the flour, baking soda, and salt. Combine with liquid bowl’s ingredients. Put additional granulated sugar on a small plate or bowl and set next to mixing bowl. Form about 1 inch size balls from dough, and roll in granulated sugar, then place on the cookie sheet. Leave about 2 inches of spacing. Cook one sheet in the oven for about 8-11 minutes, until they are slightly brown on the edges. DO NOT TAKE IMMEDIATELY OFF THE COOKIE SHEET! When they start looking done (they will still be soft) place cookie sheet on burners or rack, leaving the cookies on. Quickly place one unwrapped kiss on each cookie. You should see minor cracking in the cookies as your push down. WORK QUICK! Once the kisses are on the cookie, you may transfer the cookies off the baking sheet to cool on racks. If you will be transporting or gifting these cookies, I suggest putting them in the refrigerator or freezer for an hour or so some point after they have cooled completely. For some reason the kiss in the middle is still very soft and will get dented/squished easily.